Copyright issues have forced Game Music Bundle to remove several soundtracks from its launch bundle. For fans of old school games the Retro Game Music Bundle offered a blast from the industry's past, selling previously unreleased game soundtracks that were bundled together and sold in different packages at varying price points. Altogether there were thirteen soundtracks available from a variety of classic PC franchises. Now, it would seem that several of the offered albums have been cut out by the unfortunate forces of copyright law. 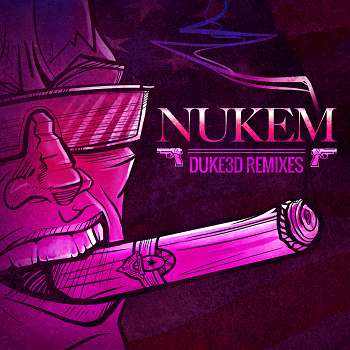 "You might notice that Duke Nukem 3D, Duke Nukem II, Major Stryker, Cosmo's Cosmic Adventure, and the NUKEM 3D: Remixes album are currently not available," said Game Music Bundle in a blog post. "There are now multiple people claiming rights to certain tracks within our bundled content. Because of this dispute we have disabled access to any contested content even though we can't be certain which claims are valid. We did this because it is of utmost importance to us that we offer official content with full respect to the authors' copyright." As frustrating as it may be for fans hoping to enjoy the pulled music, the conflict serves as a reminder of the complex nature of ownership in the game industry, especially when it comes to retro content. "One company might own the names and likenesses of characters, another might own the code, still another might own the musical compositions or sound recordings." While there is a possibility that the removed soundtracks could be restored at a future date, Game Music Bundle currently isn't able to offer many details as to when that could happen or who is involved in the ongoing dispute. That said, it's working to make amends to customers potentially slighted by the issue. The group has already added three new albums to the Level 2 tier of its current bundle as is looking into other options to replace the lost content.